I liked the spacious and luxurious furniture , all amenities that you could think of are available .the staff were very helpful and friendly. 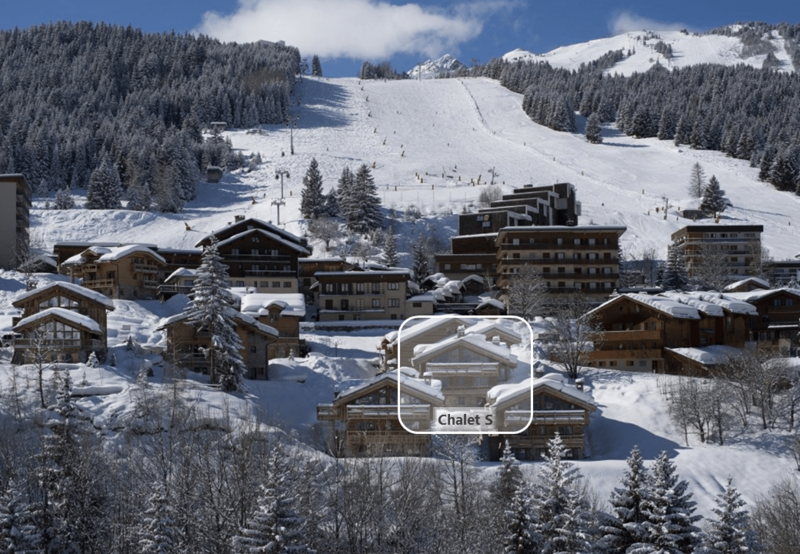 Chalet S is a luxury chalet for rent in Courchevel village. It can accommodate up to 10 people in an area of 270 square meters. Its ‘look’ and its cool accessories give it a unique style while keeping the authenticity of a chalet designed with noble old wood from ancient Alpine barns. The accommodation is located at fifty meters from the ski runs in a private development enclosed by a barrier. You will be impressed by an uninterrupted view over the surrounding mountains and valley. This unique cocoon in the very heart of a luxury resort in the French Alps will charm and overwhelm you. : chalet, ski, luxury and rock ‘n’ roll ! The luxury chalet S has an area of 270 square meters and can accommodate up to 10 people, 8 adults and 2 children. Each of the 5 bedrooms is equipped with a top of the range bathroom. A fully equipped kitchen opens onto a huge lounge furnished with an open fire. Continental breakfast is prepared for you every morning from fresh produce and according to your wishes. A prestige service is provided by our qualified staff. Particular touches such as champagne or fresh flowers on arrival make your stay in Courchevel unique. All the included and à la carte service can be seen below. On a daily basis:transfers, dry cleaning, multilingual babysitter..
All the above can be provided at an extra cost but booking in advance is highly recommended to avoid disappointment .